This is a fantastic initiative which anyone and everyone can take part in to any degree you like. It takes place on February 14th, and is a way of encouraging a love of reading and books in children. All you need to do is gift a book to a child, simple as that. There are numerous way you can participate in this project, so please read the info below for more information, and do get involved if you possibly can. Reading from childhood is a wonderful thing, it shaped me, it’s why Book Monsters is here today and it’s why I’m lucky enough do a job I adore in a children’s library. It enabled me to write, it enabled me to use my imagination to nurture my own sense of creativity, it enabled me to escape, and that’s just the start of what reading can give. 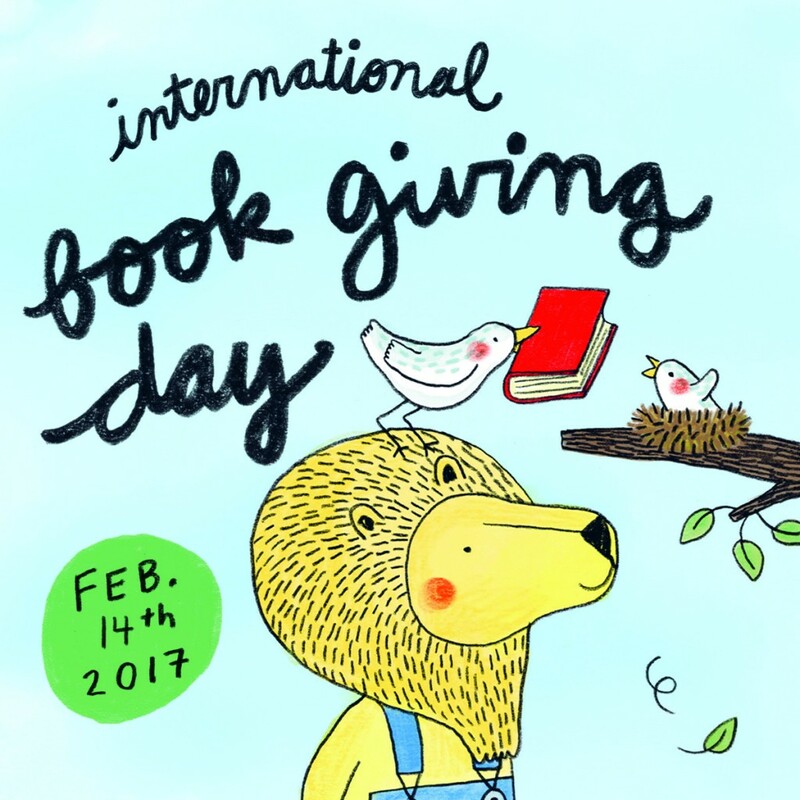 International Book Giving Day sets out to make books and therefore all of the above, accessible to children worldwide and you can be involved at any scale you wish, so please do! 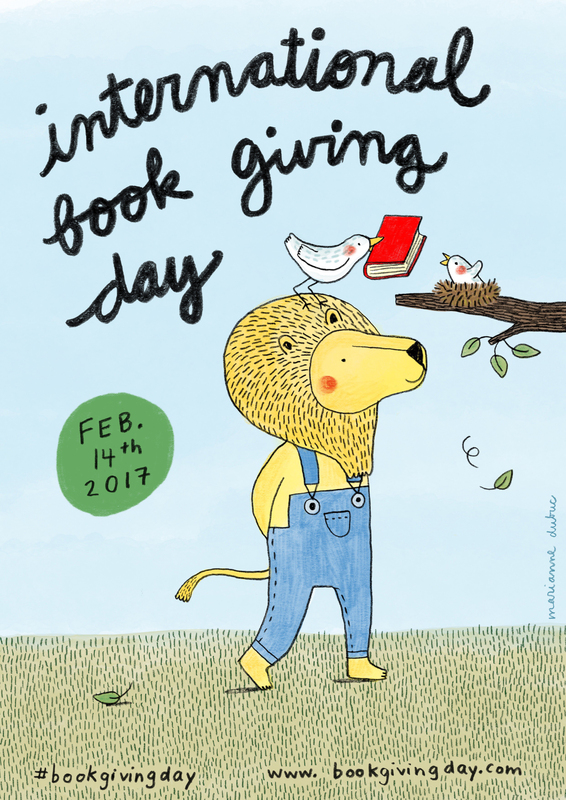 The International Book Giving Day team is delighted to announce that Marianne Dubuc is the illustrator behind 2017’s official poster.Libraries, schools & bookshops are encouraged to download, print and display Dubuc’s poster to celebrate the love of reading & encourage others to give books to children on International Book Giving Day, 14th February. Previous Post Happy New Book Year!